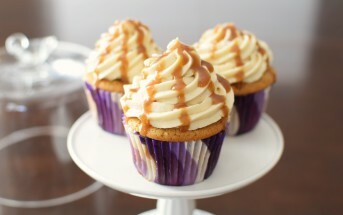 I was so inspired by the many great recipes in the Spring Fling Recipe Contest! Even though I couldn’t enter, I had to whip up a springy recipe of my own using my favorite spring vegetable: asparagus. And though this vegetable isn’t at its peak year round, the accompanying dairy-free Romesco dipping sauce is one that you can pair with roasted vegetables during any season. When cooking locally-grown asparagus (I can’t wait for our CSA deliveries to begin!) I usually briefly boil it for just a few minutes. Today I’m cooking asparagus that traveled a bit to reach its destination, so I’m roasting it instead. My children like grilled asparagus best, but roasting is great for a weeknight dinner. 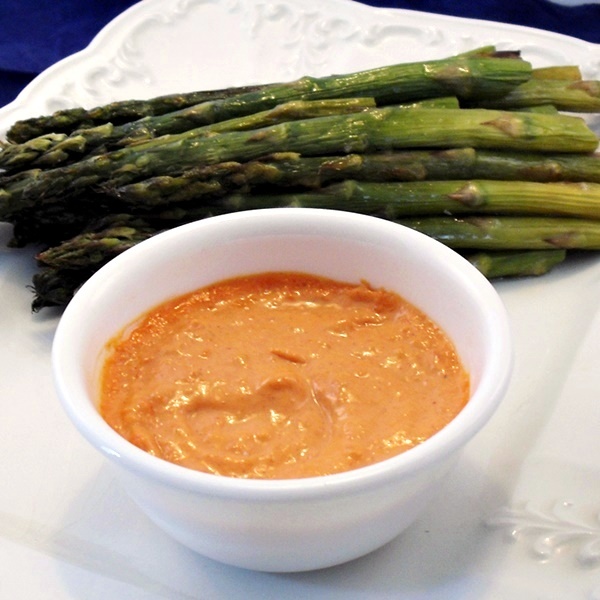 My mom recently gave us some Spanish Marcona almonds, and I used those as the inspiration for a flavorful Dairy-Free Romesco Dipping Sauce to enjoy with the asparagus, or any other springtime or summer vegetable. It would also make a great sandwich spread. 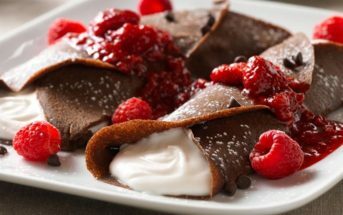 By ingredients, this recipe is dairy-free / non-dairy, egg-free, gluten-free, grain-free, peanut-free, optionally soy-free, optionally vegan, and vegetarian. 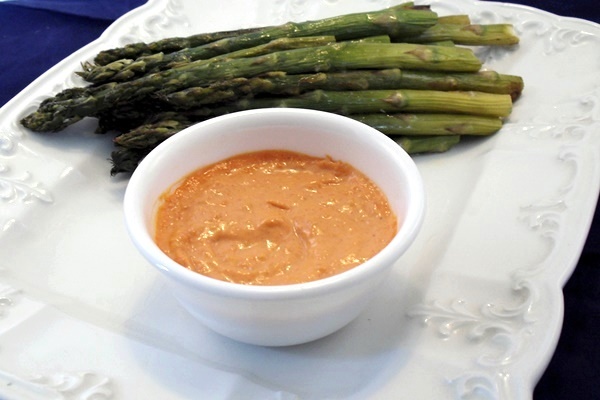 You can even make the dairy-free Romesco dipping sauce paleo by using a homemade mayonnaise! Wash the asparagus in cold water. Toss the asparagus with the olive oil and Kosher salt to taste. Roast for 8-10 minutes at 450ºF until crisp tender. 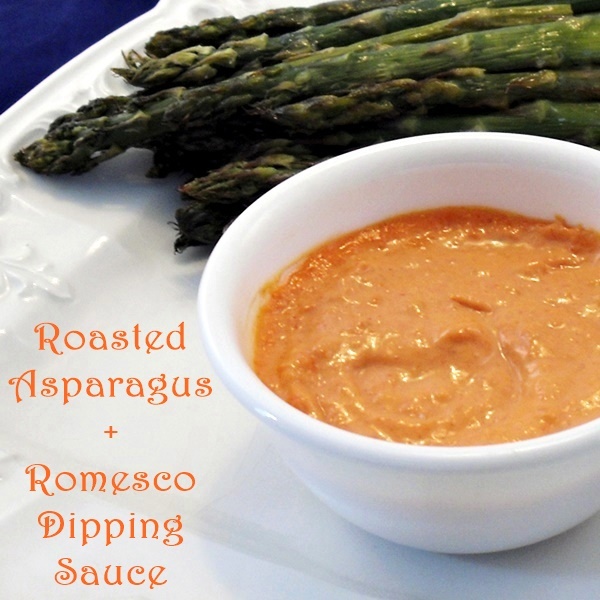 Cool briefly and serve with Romesco Dipping Sauce. Process the almonds in a food processor until chopped. Process until ingredients are blended and the almonds are finely processed. If you are using unsalted almonds, add salt to taste. Serve with asparagus for dipping.